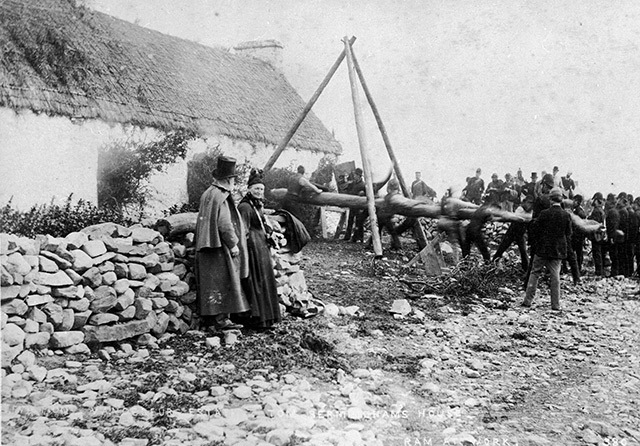 "...one of the most prominent and colourful activists in various nationalist, socialist and feminist causes"
1890s - Involved with Parnell and The Land league, set up to help poor tenant farmers, countering evictions in the Donegal and Mayo areas. 1897 - involved in various protests during the diamond Jubilee of Queen Victoria. 1898 - lecture tours Europe. 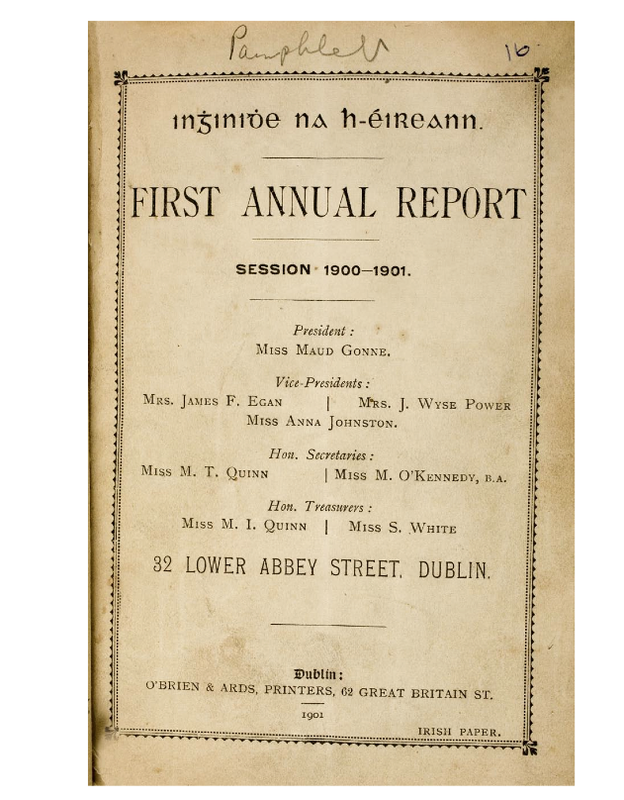 1900 - establishment and first chair of Inghinighe na h-Éireann (daughters of Ireland) a political, social feminist group, pro full irish independence, women's sufferage and free meals for children in schools. Women were not allowed to join the Irish Republican Brotherhood. 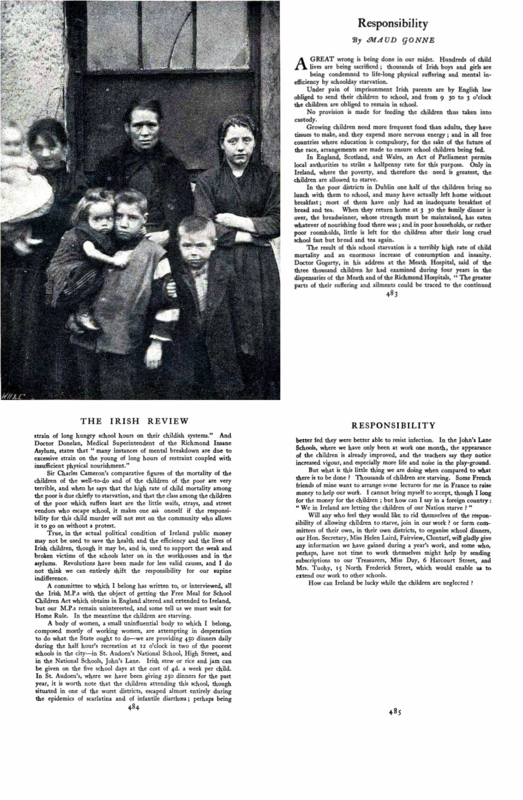 1908 - Inghinighe na h-Éireann published Bean na hÉireann (‘Irishwoman’) which Maud continued to contribute to while in Paris. Maud (24) in 1890 campaigning with the Land League and just before her first child was born. Part of a speech given by Maud as part of Charles Stuart Parnell's Land league. 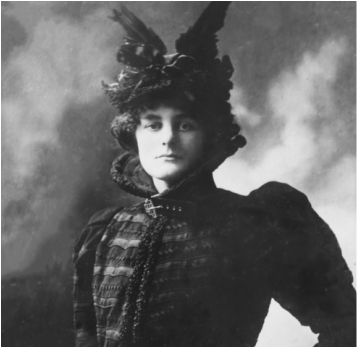 1918 - On return to Ireland Maud continued to speak on behalf of Irish Independence, feminism and to rally support for republican candidates for the I918 election. She was arrest in 1918 and sent to Holloway jail where she spent many months and suffered both physical and mental trauma. 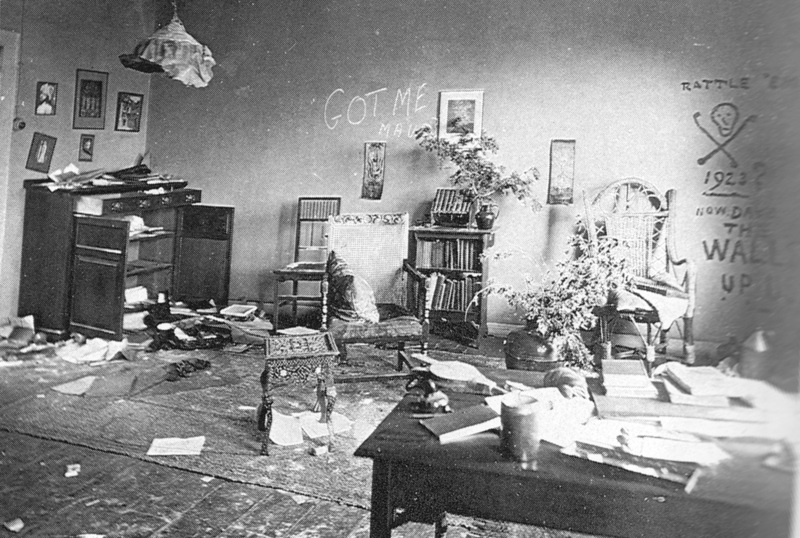 Maud (53) in 1919 after release from Holloway prison. 1921- She opposed the Treaty. 1922 - Maud set up the The Women's Prisoners Defence league They worked for prisoner's rights, held vigils and published stories of tragic deaths. 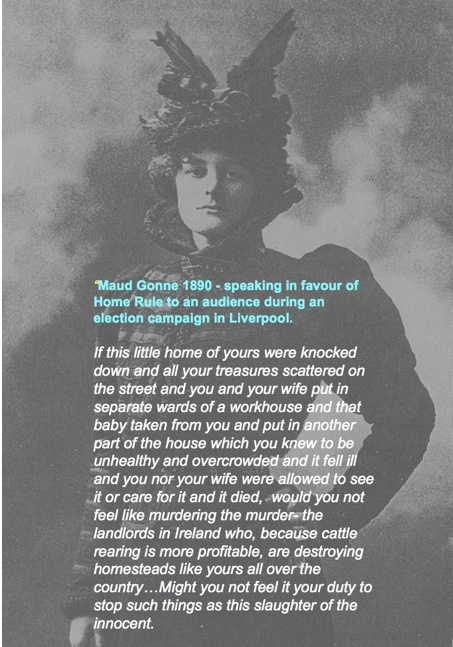 1923 - maud was arrest for anti Irish government activities, demonstrations and printing of leaflets and banners.